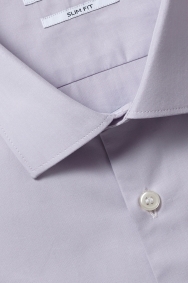 This shirt’s lilac shade will lift your suit with some colour but it’s subtle enough to fit in well in business settings. 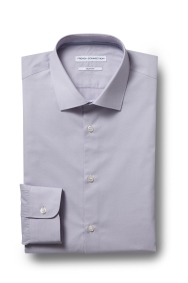 The slim fit frames your outline so you look sharp with or without a jacket, while the 100% cotton material delivers on comfort with its softness and breathability. It features a classic collar, single cuffs and long sleeves, so you can style it in lots of ways. A simple navy suit and contrasting pocket square backdrop will enhance this shirt’s understated appeal. Feel free to add a silk navy tie if you need to dress it up.